As the weeks continue on, I've begun to hear more feedback about our wedding and what everyone thought. The one comment that surprised me the most was when my mother's co-worker said she thought it was "extravagant." I was surprised because I felt we didn't put too much emphasis on trying to due huge or expensive things. I think what made it seem so special and "expensive" were the small touches we added, as well as a few of the homemade ones. So I decided to give a few tips on how we made our wedding extravagant on a budget. This is part one - floral. 1. Stay away from floral centerpieces. My biggest decision I faced for the reception was whether or not to use flowers on the tables and around the bar. When I got a price quote from my planner I was shocked at how much they wanted to charge me. Andrew and I begin discussing our options and we decided to take full advantage of what the restaurant offered us. Basic centerpieces were part of our original package (as it is with most reception sites) so we decided to do simple touches to make it a bit more special. 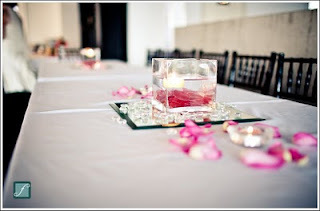 Our centerpieces were square glass vases filled with green or pink sea glass (this was included in our package). To spruce it up we purchased green and pink floating heart candles on Ebay, which totaled $20, that we put into each vase. Then we went to Harris Teeter and purchased flowers from their flower department. They had a sale going - 10 roses for $4! They also had a wide variety of other flowers available for $4 a bunch as well. We purchased about $35 in flowers. For the roses we pulled the petals off the night before and packaged them into baggies. Some for the flower girl basket and the rest for the tables. 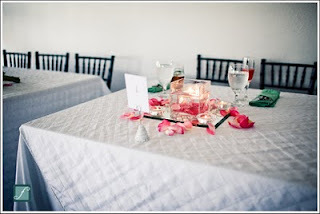 Then we rented 75 green napkins for $1 each and used a traditional white tablecloth that was included in our package. We didn't try and upgrade - we simply used what we were offered and spruced it up a bit. We had about 15 tables and the total centerpiece cost for each table was about $3.50. A grand total of about $52.50 for our centerpiece directions! 2. Create your own throw away bouquet. Another way we choose to save money was to make my own throwaway bouquet. I felt that since this was a bouquet that I was throwing in the air and quite possibly being mushed into the floor in the attempt of being caught, and then taken home by someone else, that I didn't need to pay a florist $25 to make one for me. 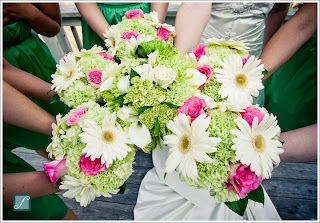 Instead, we purchased whiteand pink Gerber daisies, green carnations, and baby's breath from Harris Teeter ($4 a bunch!). 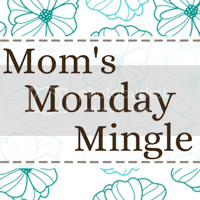 Then we went to the dollar store and purchased 6 yards of ribbon for a grand total of $2, a wire cutter for $1 and green floral wire for another dollar. Grand total at the dollar store was $4 + tax. 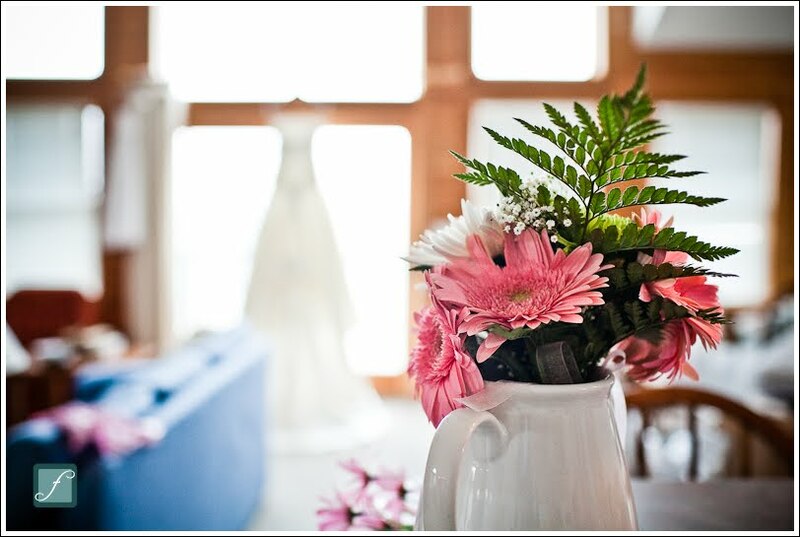 We went back to the beach house and with a lot of help from my BFF/MOH, the two of us put together a beautiful throw away bouquet and a bouquet to sit next to the guest book. They came out magnificent, almost looked like a professional had put them together for us. And we saved $15 by doing them ourselves. Below isn't the best picture but trust me, they came out great! 3. Use those bridesmaids bouquets on the head tables! I'll be honest - this wasn't my idea. In fact, I'm not sure which of my bridesmaids had the great idea to use the bouquets on our head tables as additional decorations but it was a great idea! After the introductions and first dance, each of my 5 bridesmaids put their bouquets scattered out along the table. In between the framed pictures it looked amazing and like it was planned. I also saw on The Knot a great idea is to have empty vases in certain spots around the reception hall and have each bridesmaid drop their bouquet into a vase to use a a centerpiece or decoration. This only works well if you quite a few bridesmaids, since I had 5 it worked out well. If you've already paid for the flowers, you might as well get as much use out of them for both the ceremony and the reception! The head table with the bouquets on them. 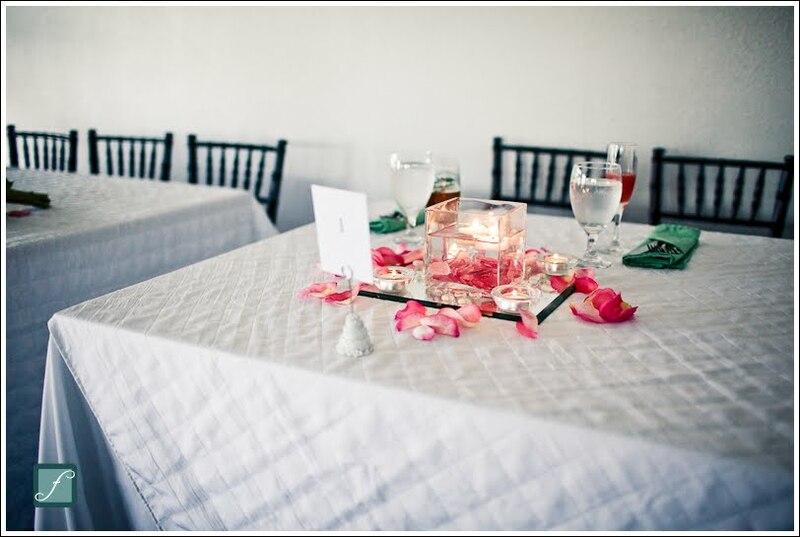 Part two will discuss other table decoration ideas, favors, and gifts for your guests! Stay tuned!